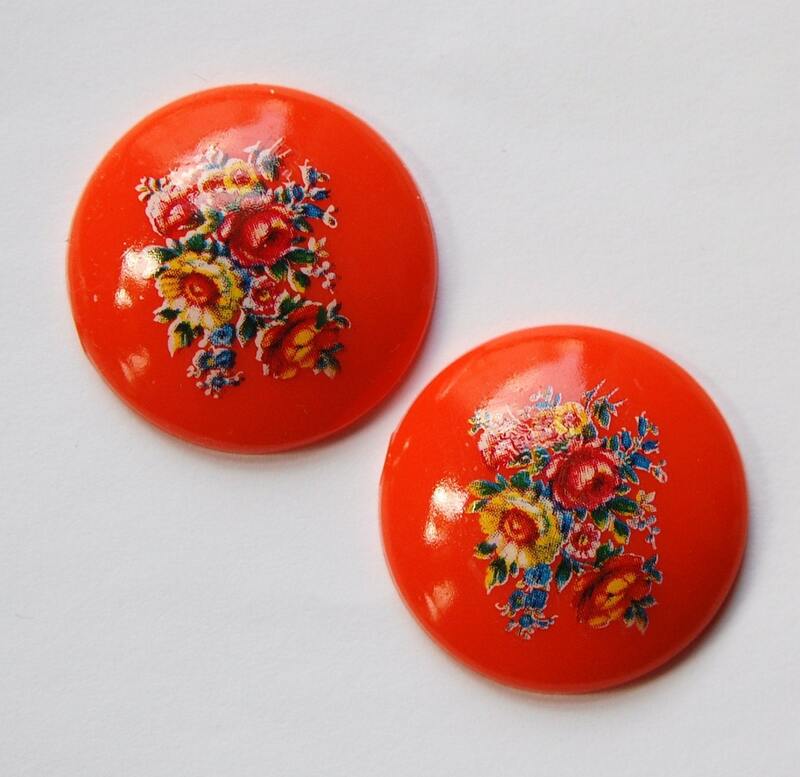 These are vintage orange plastic/acrylic cabochons. They have a floral design on top. These are domed cabs. They measure 28mm. You will receive 2 pieces. I like the colors of these cabs. Beautiful!! Fast shipping! Thank you! !